Do you have children that pretend the couch is a mountain to climb, that the trees outside are soldiers to fight, and their sister is the evil empress? Then this is a great book for them! Meet Space Cop Zack, full of imagination and excitement without leaving his yard. by using his imagination is able to travel through space with his sidekick GARG to chase after the terrible Dr. Dogbreath. 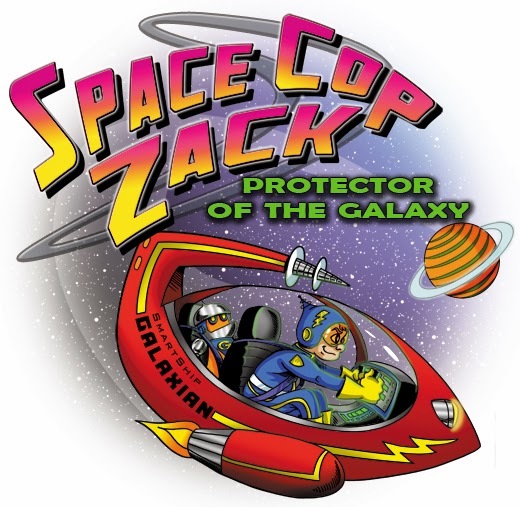 He travels in space and then takes a journey back to earth and dives his space ship into the depth of the ocean where robot GARG is able to fight a huge octopus. Slime forests, stinky caves, and fanciful illustrations keep your young reader interested till the end. The end of the book you are able to see what true to life activities led to Zack's imagination fantasies. I loved that part! It has you look and see and compare what his activities were based on what part of the yard/house he was in. I think this book will engage young readers/listeners minds and help them create their own fantasy world of imagination and play. The illustrations are bright and detailed! There are questions at the end of the book to discuss with your kids to continue their imagination growth. 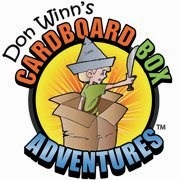 Each Cardboard Box Adventure book seeks to engage children's minds on important topics and give a conversation starter between them and parents.This one was all about using your imagination! There are several others in the series and Don has a Learning Resource page that gives vocabulary words and additional ideas for teachers.